This page is about local salsa teachers, Cuban salseros with small business for salsa lessons in Trinidad Cuba. We enjoy teaching you to dance Salsa the cuban style, from beginners to advanced. My name is Andy and I am the owner and founder of Barrio Cubano Escuela de Salsa. We are a group of passionate and experienced dancers, teachers and choreographers for all Cuban dances. 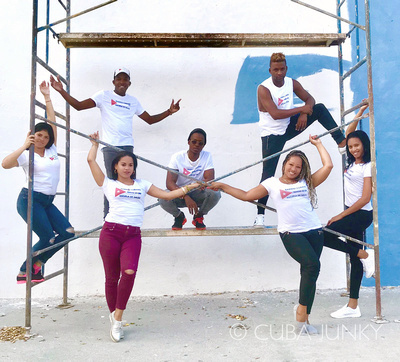 We all studied dance at the „National Escuela de Arte“ in Cuba and have experience in giving classes for several years. If we are not teaching we create our own choreographies in our dance studio in the heart of Trinidad. We can teach in and Spanish or English and we have worked with clients from all over the world. We love dancing and would like to share this fantastic Cuban culture with as many people as possible. Do you have salsa tips or know salsa teachers in Trinidad?